Don’t lay down any cash until you’ve carefully evaluated the most common risks you might face when buying a franchise. 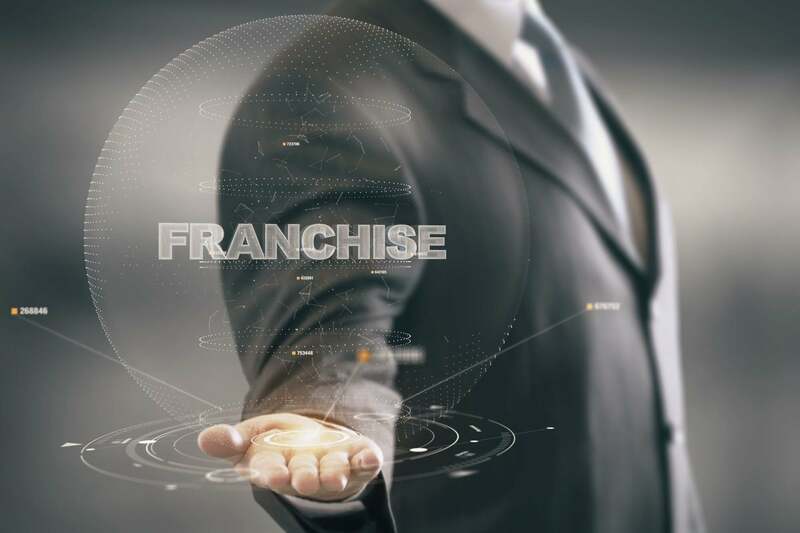 It’s important to assess the potential risk of the various franchise investments you’re considering to determine where they lie on the risk axis. Keep in mind, their perceived risk isn’t limited to a single factor. Rather, it’s the sum of all the risk factors that could cause your investment to go south. With that in mind, let’s look at some of these risk factors so you can measure the risk associated with the franchises you’re considering. If it’s been around for years and has an established market, it will probably be around in the future—absent other changes in the market. But if it’s new to the market, be careful. Remember, new can often mean “higher risk.” Franchise fads can allow you to make money, of course, especially if you jump in early (and perhaps get out early, too) or se­cure a location that gives you a captive market for a popular product. But be careful about jumping on any bandwagon if it seems faddish. You must also evaluate whether the concept will work well in your chosen market. Let’s say you’re from North Carolina and just love the local barbecue. When you relocate to Texas and see that there aren’t any restaurants serving North Carolina-style barbecue, you may think there’s a real opportunity—and maybe it is. But perhaps there’s a reason North Carolina barbecue isn’t well-known in Texas. In North Carolina, barbecue means pulled pork on a bun with coleslaw. (The sauce varies depending on which part of the state you’re from.) But in Texas, barbecue means BEEF with a spicy, tangy sauce. So while North Carolina barbecue might work in Texas, it could also be a very high-risk venture. Likewise, consider the seasonality of a business. Some businesses will work better in warm climates and others in cold. Looking to get into a lawn-care business? Perhaps you’ll do better in Miami than you would in Chicago. There may, of course, be great reasons to consider a lawncare business in Chicago. Perhaps you’d like to work like a dog for nine months and spend the next three recovering and enjoying the fruits of your labor. Or perhaps you see an opportunity to add a second seasonal business—say, a holiday décor business—to your lawn-care business so you can take advantage of the relationships you build (in which case be sure to read your in-term, noncompete clauses very carefully). But seasonality poses a risk if you’re not prepared for it. Labor losses from one season to the next can be an ongoing problem. And there will be the obvious need to manage cash flow during the fat months so you can survive during the lean ones. Government regulations pose a potential threat to any business. While it’s tough to prognosticate what the government will do, there are certainly some things on the horizon. One obvious example is franchising in the emerging market for cannabis and related products. At the moment, the pendulum is swinging in favor of more broad-based acceptance of cannabis retailing—at least at the state level. At the same time, cannabis franchises must still navigate federal laws; banking regulations are one major hurdle right now. And conceivably, regulations could be enacted at the federal level that could end recreational cannabis retailing overnight. Another question you’ll want to address is how well the business will hold up under different economic circumstances. Some busi­nesses perform better than others in difficult times. The first thing that might come to mind is the degree to which a business concept involves a discretionary purchase. For example, if your customers were to lose their jobs, they might be less likely to have their carpets cleaned, their houses painted, or their cars washed, as these tasks could be put off (or done by the consumers themselves) if they had to tighten their belts. Some businesses are highly recession-resistant, such as funeral parlors, health care, and education—although in each case, the consumer may reduce their spending on these services. And some businesses will actually thrive during tough times. A consumer may be more likely to repair his car during a recession, whereas in a good economy he might simply buy a new one. Be sure to ask any franchisors you are considering how the business fares under different economic conditions. Capital (or financial) risks are involved when the franchisor doesn’t have the resources to meet its growth plans. You’ll want to closely examine the financial statements in the franchise disclosure document (FDD) to determine just how well-capitalized the franchi­sor is. (If you’re not well-versed in finance, ask your accountant to help. In order to get a complete financial picture, you should run a Dun & Bradstreet credit report on both the franchisor and any affiliated companies. Your banker can do this on your behalf. And again, speak with your accountant if you have problems understanding the results.